A new organisation with a closer partnership to the equestrian sporting disciplines has been created to take British sport horse breeding to the next level. British Breeding was formed after the British Equestrian Federation (BEF) handed over its management to a new company formed by several industry experts. The group came together in a bid to take on the running of the activities, which consist of a stallion show, breeding magazine and the young stock evaluations known as the Futurity and Equine Bridge. 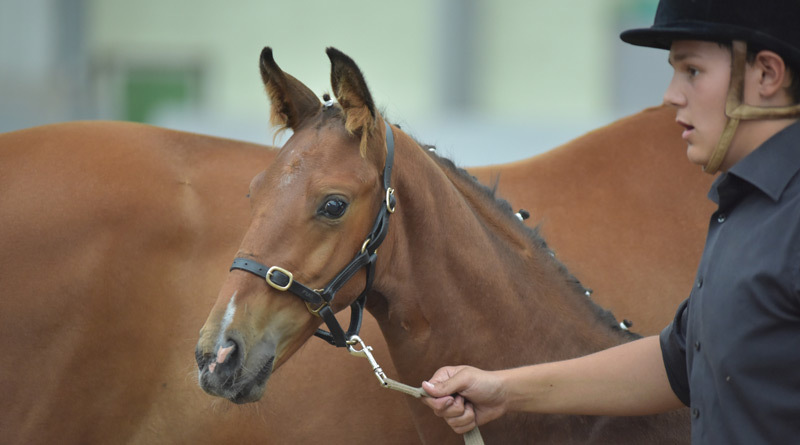 In adopting the holistic approach of joining up the breeding world with the sport, British Breeding has a strong business plan to secure the future of all elements of the programmes for the continued benefit of breeders and horse sport alike. BEF chief executive Nick Fellows said the federation’s equine development programme had been fundamental to the future of British breeding and it had been the BEF’s main aim in recent months to find a safe set of hands to take it forward. “The new organisation has exciting plans that will ensure the continuation of the integrity and standards the BEF created”. The co-directors of British Breeding are Jane Skepper of Horse IT; Rachael Holdsworth of Holdsworth PR; Sacha Shaw of Breeding British; Joris van den Oetelaar who is a director of the Anglo European Studbook; and Dr Eva-Maria Broomer of Horsepower Creative. The CEOs of the three Olympic Disciplines, British Dressage, British Eventing and British Showjumping – and Sandy Senior representing the British Breeders Network, will each have a non-executive director seat on its board. The company will have an independent non-executive chair, Jan Rogers, director of Research and Policy at The Horse Trust and the former head of Equine Development at the BEF. British Dressage Chief Executive Jason Brautigam said that British Breeding’s programmes were invaluable in continuing to develop and nurture equine talent. “Strategically it is a vital component for the future of equestrian sport and British Dressage is fully committed to supporting this process. The Futurity evaluation and veterinary assessment identifies horses that may go on to compete successfully at all levels by cultivating soundness and longevity, not only for the welfare of the horse but also for the benefit of our sport as a whole”. David Holmes, chief executive of British Eventing, added that it was an exciting opportunity for the stakeholders to work together to increase the chances of the many talented British-bred horses going to British riders who will maximise their potential. “British-bred horses and their breeders need the recognition they deserve, and we need to work to stem the tide of buyers going abroad,” Holmes said. Co-director Rachael Holdsworth said the company was eager to move forward with its plans. “The hard work starts now, but we are already well advanced with plans for the Futurity evaluations and a new marketing strategy. We look forward to working with breeders and providing the infrastructure to allow their horses to gain the recognition and reputation they so richly deserve”.